Putting history into a perspective, this is an engaging, entertaining and educational trip through time, packing in equal parts fun and facts. Recently updated, British History For Dummies introduces listeners to recent events, including British actions in Afghanistan, and David Cameron's formation of Britain's first coalition Cabinet since World War II. But don't worry - British History For Dummies doesn't skimp on the old stuff! It's a riotous, irreverent account of the people and events that have shaped Britain. Compact Irish Phase 1, Units 1-5 build on material taught in prior units. Each lesson provides 30 minutes of spoken language practice, with an introductory conversation, and new vocabulary and structures. Detailed instructions enable you to understand and participate in the conversation. It's exhausting being Irish. The constant self-flagellation is enough to put anybody off their breakfast. Why are we so hard on ourselves? Is it the postcolonial overhang following centuries of oppression at the hands of a litany of foreign invaders? Or is it collective guilt for sending Westlife out into the wider world? In Surviving Ireland, acclaimed comedy writer Colm Tobin takes the listener by the hand for a satirical romp through modern Irish life. Congratulations on finding your ultimate travel guide to Ireland! So you’re going to Ireland? Lucky you. Your friends and family will sure be jealous because you’re going to experience a lifetime worth of adventures in one single trip. As a traveler who has covered more countries than I care to count, I would never hesitate to recommend Ireland as one of the best travel destinations in the world. The moment I set foot in this country and gazed in unabashed wonder at the vivid greenery around me, I knew I was in for a treat, but nothing could have prepared me for the delightful clash of colors, cultures and adventures that I was about to experience. In 1845, a disaster struck Ireland. Overnight, a mysterious blight attacked the potato crops, turning the potatoes black and destroying the only real food of nearly six million people. Over the next five years, the blight attacked again and again. These years are known today as the Great Irish Famine, a time when one million people died from starvation and disease and two million more fled their homeland. With more than 250 million books in print and more than 1,800 titles, For Dummies is the most widely recognized and highly regarded reference series in the world. Since 1991, For Dummies has helped millions make everything easier. For Dummies audiobooks offer listeners proven experts presenting even the most complex subjects in plain English. ©2011 John Wiley & Sons, Ltd. (P)2012 John Wiley & Sons, Ltd. 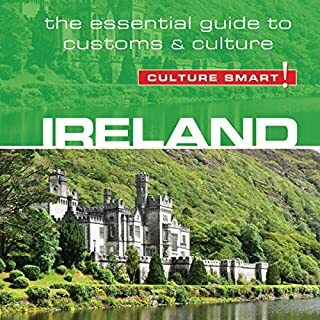 I purchased this book to prepare for a vacation in Ireland. 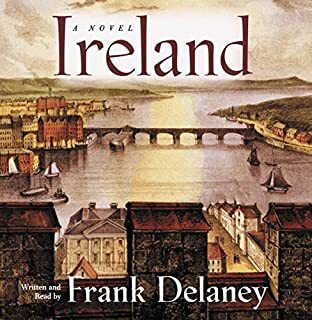 Knowing little about Irish history except the relatively recent tragic events in Northern Ireland, I was stunned to read how much the Irish endured mainly at the hands of the English. For centuries, into modern times, the Irish suffered prejudice, religious persecution, exploitation, injustice, poverty, illness, and cruelty as a result of England's superior military strength, unstoppable aggression, and insatiable greed. Now I can't wait to take my trip and meet my hosts, whom other travelers have described as hospitable, warm, and generous. This is a great tribute to their strength and faith. The narrator did a wonderful job. He read beautifully. He had an Irish accent (that would seem obvious, but Johnny Depp, with an American accent, read Keith Richards's autobiography--a choice I'll never understand). Although the facts of the country's history are grim, for some reason the book came across as very interesting rather than depressing and painful. The content struck me as thorough and complete. 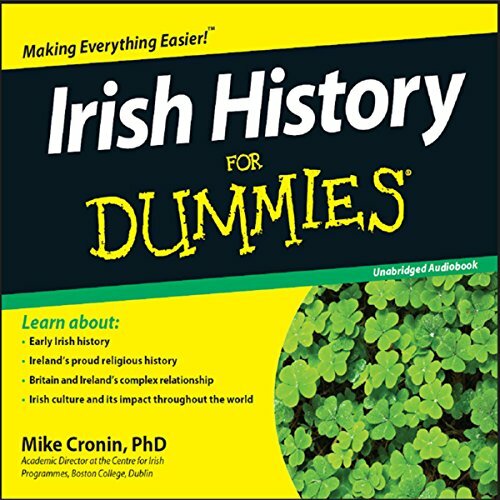 If you could sum up Irish History for Dummies in three words, what would they be? What does Patrick Moy bring to the story that you wouldn’t experience if you just read the book? Such an accent. I will never read a book about Ireland if I instead could listen to this voice dancing and melting over the text. After visiting Ireland I felt like I had broken bits of history - Viking invasion, English nobles taking over the land, Easter rising - but no clear narrative of how these events wove together into one history. This book was great for that. I could imagine listening to it again just because it is both interesting and narrated by a wonderful voice. This is a good overview of Irish History, it's culture and it's beginnings. I listened to it while on a recent road trip, and it kept my attention. I will probably re-listen to it soon, gleaning some things that I might have missed the first time around. I returned from a two week trip to Ireland this past October, and wanted an over-view of it's history and so I chose "Irish History for Dummies". I will probably read more books in the future, expanding upon what I have learned. I recommend this book as a start at least, in Irish History. I enjoyed the narrator as well. He has an Irish accent but completely understandable brogue. I thought his pace was perfect. Love it!. Love Irish people more ever. I am from Pakistan and working with Irish poeple in U.S for 18 Years. This book has given me a different perspective of their struggle and character more than just culture and accent. I laughed on so many words that I always used to hear but did not know their origin and history behind them. I loved Narrator. His accent was not new to me at all. Great work. The narrator's Irish accent added much to the overall enjoyment of this book. Yes, "enjoyment", not just a dry recounting of the history, but some very interesting tidbits about past heroes and past failures. It put the Troubles in a perspective that I would never have combed out of news stories. Britain does not come off as very nurturing, but as an American, I knew that already. I ready for a trip to Ireland now! Nice summary of Irish history. I have read many articles about different parts of Irish history but it is nice to have a chronological story to fill in the blanks. It was very informative to understand the various conflicts with England and English culture. But in a 22 hour audiobook I would have liked to hear more from the cultural and female perspectives. So few females mentioned. However, I learned a lot and feel that this was a good place to start. Terrific telling of Irish History! The dry humor made the listening to 1500 years if history pleasant. 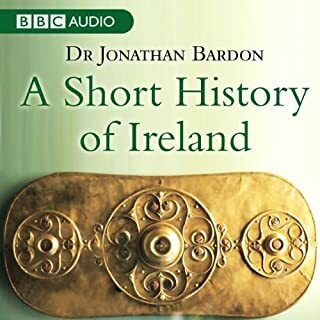 I recommend this audio book to those who seek to be introduced to an overview of Irish history! Whow! Best ever Irish lesson! I'm German/Irish; awful combo! I know! The Irish side of my history seems to start with the Irish Potato Famine and ends here in the US at NYC. I was amazed at how much I related to this book. I kept thinking...'ha! I get it! That's why I do some of the crazy stuff I do!' The history of Ireland after my ancestors came to the US was extremely eye opening. I had no idea! Great book for anyone! Very entertaining and informative. Great overview of Irish History!!! Loved it. It's amazing how corrupt the English were and how resilient the Irish are. The English took everything they could for 700 years. They took the land and even their native language, supplanting it with English. But the English couldn't take the Irish's steadfast adherence to the true faith of Roman Catholicism and replace it with a manmade counterfeit of Anglicanism. The Irish never sold their soul. Would you listen to Irish History for Dummies again? Why? 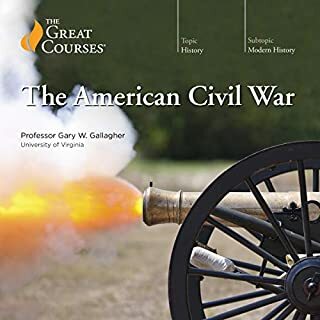 Ignore the wannabe history professors reviewing this and read the title. I am Irish and like most; think I know the full story in a kind of patch work way. This is what this book does. It's all your History classes from school brought together in a humourous and well constructed way. I purchased this knowing I would be on a long journey home and I loved it. It is not supposed to an intellectual thesis; but a easily accessible story with some brilliant characters that perhaps we have forgotten about. So never mind some would-be, late night, boring as hell reviewer who wants to really just say how clever he is...and enjoy a nostalgic trip back to 3rd year double history on a Wednesday afternoon and remember how bloody rich our little land is. Mediocre would be a compliment too far! This guide to Irish history, tailored as it is for 'Dummies', will serve poorly all who hear it. There are a large number of inaccuracies - wrong dates, misleading causal statements, etc., which for anyone familiar with Irish history, flash like beacons. 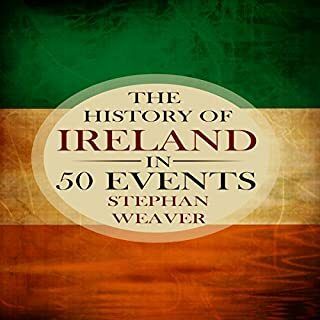 For those who use this book to give themselves a basic grounding in Irish history, or, God forbid, use it as a reference, they'll be embarrassed when what they believe to be facts are outed as fiction. The narrator's voice is not bad, if lacking the gravitas required for a book on history. 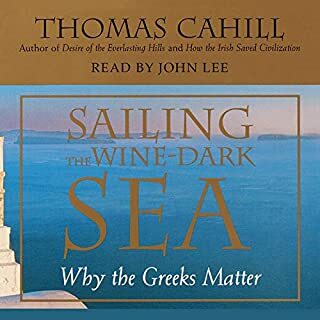 Obviously the youthful tone imparted by the narrator helps negate the austerity that history audiobooks often impart, yet it just seems incongruous in too many contexts. The 'jokes' that are often stapled into the narration are invariably so obvious as to be painful. Irritatingly, the book is poorly written, quite repetitive in parts and generally sloppy in its conversion to audiobook format. In the version I downloaded, the introduction is forced on the listener twice; at the start of each part - two times more than it should be! I have to say I was very surprised at how good this book is. I have read a lot about Irish history and bought this book for an easy listening refresher. It is my for book in the for dummies series. I will now look at what else they have on offer. I loved this book i learned a lot about my countrys history from about 5000 B.C right up to 2013 A.D highly recommended if you want to learn all about Irelands history throughout the ages.